So much has been written about Alberto Contador, Chris Froome, Vincenzo Nibali and Nairo Quintana that we’d be forgiven thinking the Tour de France was a four-horse race. The above mentioned thoroughbreds are for good reason the stand-out favourites for the yellow jersey in Paris – but there are a cluster of other stallions champing at the bit, ensuring that this should be the most open and fiercely competitive Tour in recent memory. While it’s a truism that riders make a race, it’s also undeniable that those riders are shaped, influenced and affected by a route. And this year’s route is a right corker. Sure, we don’t have the brutal consistency of the uphill slogfest that was the 2015 Giro, but the Tour slowly builds to an Alpine crescendo, with an opening week that will prove far more arduous than it looks in profile, on paper, to the untrained eye. 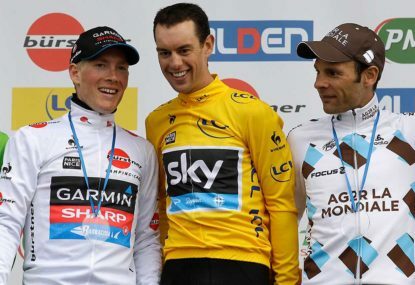 Froome himself has described the first phase of the Tour as nine separate one-day classics – and besides the obvious absence of a Dutch-flavoured 14-kilometre monumental time trial on the spring classics calendar, the 2013 champion’s statement is about right. Crosswinds, cobbles and two uphill finishes (on the equally famous Mur de Huy and Mûr de Bretagne) will wreck havoc on the peloton ahead of the Pyrenees. Accidents and incidents will happen. Riders will lose time. One or two of the favourites may find themselves out of the race or significantly behind even before the three climbs of Stage 9’s controversially tardy 28-kilometre team time trial take their expected toll. The fates of the two main favourites, Froome and Contador, in last year’s race is reason enough to look beyond the obvious for an eventual winner. Should this year’s Tour throw up similar scenarios then the first logical place to look is at each of the main team’s Plan B.
Richie Porte’s struggles in the Giro may have put him out of the reckoning and Geraint Thomas may not be able to maintain such stellar form throughout a three-week race. But supposing Froome cracks or crocks, a climber in the mould of Wout Poels or Leopold Konig could well spring a surprise for Sky. Astana do not appear to have a valid fallback should Nibali break his habit of completing every Grand Tour he has entered – although Lieuwe Westra and Jakob Fuglsang are both capable of top 10s. Likewise, Tinkoff-Saxo look very much Contador-or-nothing when it comes to the yellow jersey – but such is the mountainous nature of the route, last year’s polka dot jersey, Rafal Majka, could well have far loftier ambitions. Movistar offer the most realistic candidate when it comes to Plan Bs – probably because the man in question no doubt sees himself as much of an A as Quintana. Last year’s highest ranked rider in the World Tour, Alejandro Valverde capped his Tour preparations off by winning the Spanish national championships on the weekend and has finished in the top 10 in his last five Grand Tours. Now 35, Valverde may not be as explosive as yesteryear, but victories in Liege-Bastogne-Liege and the Fleche Wallonne in the spring underline his credentials for the opening week – and he seems to be climbing as well as ever. Should Quintana falter, Valverde will be there to pick up the pieces. 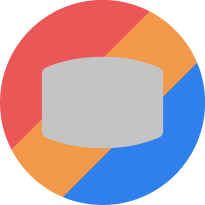 In fact, both riders are capable of finishing on the podium. A rider frequently put in the same bracket as Valverde is Katusha’s Joaquim Rodriguez – although his form has tapered somewhat since losing out to Portugal’s Rui Costa (Lampre-Merida) in the 2013 world championships, which be blamed on his Spanish teammate. The winner in this year’s Tour of the Basque Country and not far behind Valverde in both of his Ardennes victories, 36-year-old Rodriguez will suit the mountainous route, although he’ll be under no illusions that his team’s most likely jersey will be green for Alexander Kristoff rather than yellow. Americans Tejay van Garderen (BMC) and Andrew Talansky (Cannondale-Garmin) have been knocking on the door for some time. 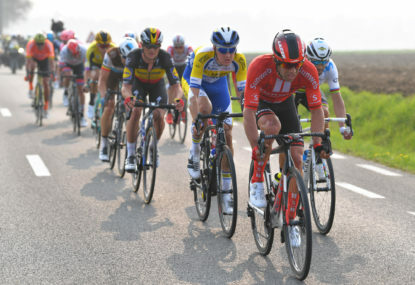 Finally entrusted with BMC’s leadership in Cadel Evans’ last year as a pro, Van Garderen was fifth last year and looked solid in both the Tour of Oman and Criterium du Dauphine this term. Also 26, Talansky was forced to withdraw from last year’s Tour after a series of crashes, although his victory in the 2014 Dauphine underlined his credentials as one of America’s great hopes in the post-Armstrong era. Personally, I don’t see either Van Garderen or Talansky being a threat to any of the Big Four if the race unravels according to ability and without incident. In fact, I see the American duo as behind a cluster of French riders that are giving the home nation renewed hope in their national race. It’s now 30 years since Bernard Hinault won his fifth Tour, but last year’s podium places for Jean-Christophe Peraud (Ag2R-La Mondiale) and Thibaut Pinot (FDJ) behind Nibali has led to serious discussions vis-a-vis their Tour-winning credentials. At 38, Peraud doesn’t have time on his side; I put him in the same bracket as Rodriguez, Colombia’s Rigoberto Uran (Etixx-QuickStep) and Dutchman Bauke Mollema (Trek Factory Racing) when it comes to this year’s race. Perhaps I’ll regret saying that, but I get the impression that last year all the stars were aligned for the former mountain biker. Pinot, however, is looking increasingly like the real deal. ASO’s decision to feature more climbs and just one 13.7-kilometre individual time trial was seen by many as a way of giving the Pinot-led new generation of French talent some real hope in their quest to bring home the holy grail. 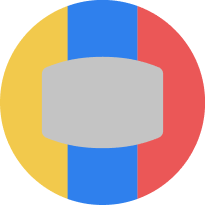 Pinot’s recent solo victory at the foot of the Rettenbach glacier in the Tour de Suisse shows that the 25-year-old enters the Tour in fine form and with the firm belief that he can make a splash. Even his once-maligned descending is now one of his strong points. Likewise, fellow French tyro Romain Bardet – the 24-year-old whippet whose hopes of a podium finish in last year’s Tour were derailed by the penultimate day’s long time trial – capped his preparations off with a wonderful solo win in Pra Loup in the Dauphine following an attack near the summit of the sinuous Col d’Allos. It’s a stage that will be repeated kilometre for kilometre when the Tour enters the Alps next month, which can only help Bardet’s cause. Joining the relatively established Bardet and Pinot (with five Tours between them despite their tender years) will be perhaps the biggest talent of them all: 23-year-old Warren Barguil of Giant-Alpecin. The Breton climber makes his long-awaited debut in the Tour after impressing in the last two editions of the Vuelta, with two stage wins in 2013 followed by a top-10 finish in 2014. With sprinter Marcel Kittel not making Giant’s final selection, Barguil finds himself in a much more favourable position. Free from domestique duties, Barguil could well pull off the surprise of the race. And that just leaves one more French rider to throw into the mix. When the Tour route was announced last year I remember thinking that the most motivated rider would be Pierre Rolland, a super strong climber on his day, but one who is consistently let down by his inability to ride against the clock – whether on his own or as part of the habitually bungling Europcar convoy. But here is a route tailor-made for a rider of Rolland’s calibre. Fourth in last year’s Giro before finishing 11th on the Tour, the 28-year-old came close to winning the Tour of Catalunya this spring. Rolland possesses one of the most pleasant climbing styles in the peloton and he will be able to draw on a ton of experience. 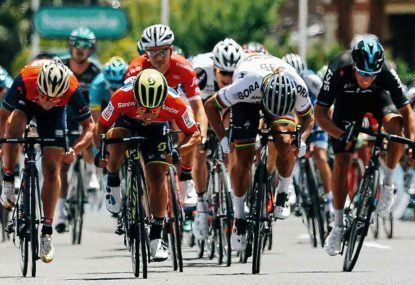 Only last week – in a French TV sports panel show looking at Pinot’s chances of winning the Tour – did Europcar manager Jean-Rene Bernaudeau suggest that his rider, Rolland, perhaps stood the best chance of any Frenchman to win this July. Remarkably, he said so sincerely. One problem remains: that 28-kilometre team time trial ahead of the Pyrenees. It’s a test like this that could well weigh heavily on the outsiders and swing the pendulum back towards the Big Four, whose well-drilled teams have that much more strength and cohesion in depth. But the sheer quantity of class waiting in the wings goes to show that the Big Four will not only have a race among themselves, but among an ever-swelling strata of improving riders who will need no reminding that this could well be the year to pounce and go off-script. Australian Michael Matthews has just missed out on a podium finish at his maiden Tour of Flanders, won by unfancied Italian Alberto Bettiol. Team Sky to become Team Ineos, but what happens next? The cycling team that has won eight grand tours, Team Sky, will become Team Ineos from May 2nd. A collective sign of relief was heard from all British cycling fans this week as Sir Jim Ratcliffe was confirmed as the new owner, and main sponsor, of Team Sky racing. 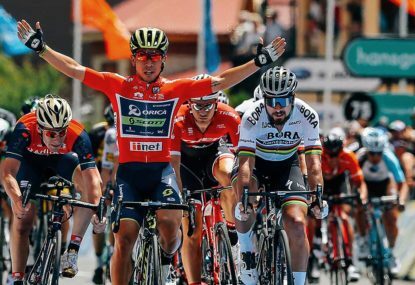 Caleb Ewan’s first Tour Down Under with his new team has become the week from hell after the Australian sprint ace was relegated for headbutting. Robbie McEwen and pro cycling team Mitchelton-Scott were among those to pay tribute to former British road race champion Paul Sherwen, who died aged 62. 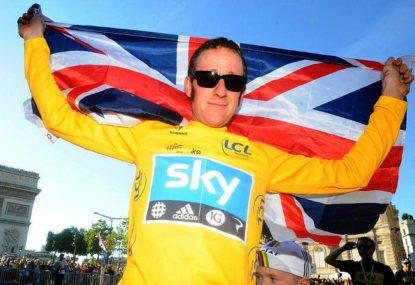 The president of world cycling’s governing body the UCI has said it is “unacceptable” that former Tour de France winner Bradley Wiggins still regards disgraced cyclist Lance Armstrong as one of his icons.